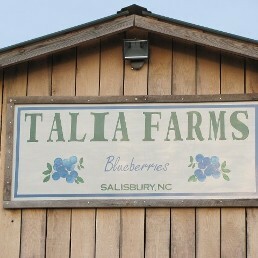 Talia Farms is a blueberry farm just outside of Salisbury, North Carolina. 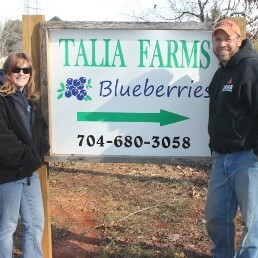 For owners, Bob and Heather Altizer “becoming blueberry farmers involved a dash of serendipity”. 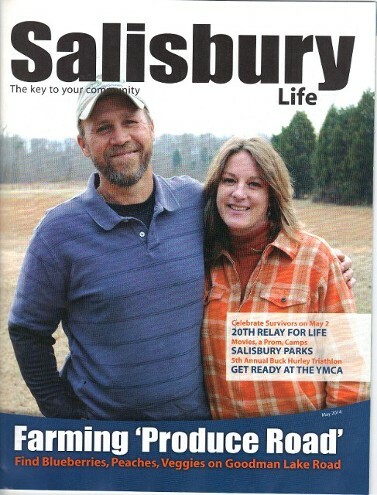 Originally from Virginia, the husband-and-wife team was transplanted to Salisbury pursuing careers in other fields. It wasn’t until the adjacent property came up for sale that their pursuits changed. 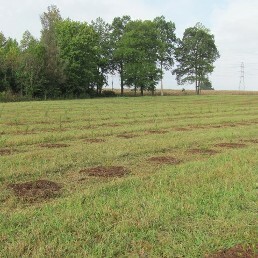 On Valentines Day’s 2009 the couple planted their first 300 blueberry bushes. Today they have 2,000 bushes and growing. Most days you will find the couple side-by-side, picking, sorting & packaging!